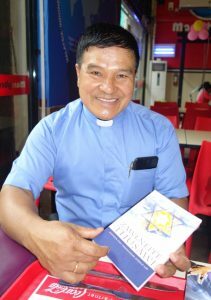 A few years ago, MediaServe provided The Prophets Speak in the Mizo language for the Bnei Menashe in northeast India. We knew some also resided in western Myanmar, but we had no connection with this group. While in Myanmar, we “happened” to meet a Mizo pastor! As I showed him The Prophets Speak, his face lit up. He shared how there are people in Myanmar, including himself, who have lived for generations there but don’t identify themselves with the Burmese but rather with Israel and the Jewish people! Quite remarkable! MediaServe is excited about this opportunity and will provide 5,000 copies of The Prophets Speak in Mizo this coming autumn. Would you like to help us make this happen?